Cobourg council put the brakes on a recommendation to cancel all free parking passes, including those for town staff and police, Tuesday night until some details can be worked out. A series of motion related to free parking passes were delayed in order to measure the impact on a number of groups and residents, as well as, to determine the financial impact on the town budget. Councillor Miriam Mutton said she agrees with the delay, but emphasized the need to act now in order to make the system fairer. 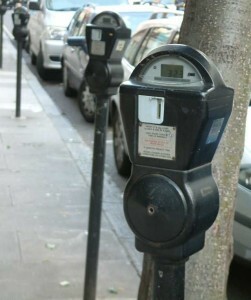 The parking advisory committee recommendations came after the town was granting nearly 1,000 free parking passes in the past to residents along Church and Charles streets, for beach volleyball organizers, lawn bowling, lifeguards, seniors in the Market building, police volunteers, commissionaires, dragon boat members and the art gallery, along with a host of others. Manager of Engineering Teresa Behan said town staff and police staff have traditionally received free parking passes, valued at $180 per year each. This affects more than 100 people. The Cobourg Marina also supplies free parking passes to people who rent a slip and provides day passes for those who use the launch. Day passes cost $15 a month or $5 per day. The marina receives about 300 passes per year. However, it was the passes for the Cobourg Lawn Bowling Club that sparked a debate in the council chambers. The club began getting passes two years ago when a series of parking meters were installed around Victoria Park, where the club is located. The club received 250 passes in 2009 and 150 passes in 2010. Deputy Mayor Stan Frost was agitated when the recommendation asked the money be put in a parking reserve fund. He wants the money to go into general revenues to it can be spent in any manner, not just for parking upgrades. He is also worried organizations have started activities, specifically the lawn bowling club, and it would be unfair to start charging them immediately. “I think it is a bit unfair,” he told council. Councillor Forrest Rowden agreed, saying it would not be right if there was an expectation of free parking passes was in place. The groups should have time to adjust. Parking Advisory Committee Chairman Bob Marr said nobody should get a free ride any longer, especially when so many other people pay for parking. The Downtown Business Improvement Area (DBIA) members and employees all pay the $15 per month to park in town lots. While the committee did not ask town employees to pay, the committee recommended the town put an equivalent sum in the parking reserve fund. “I think we need a level playing field,” he added. If approved, residents living on Church and Charles streets, near Victoria Park, would also no longer receive free passes for parking. Currently, there are a series of parking metres. The passes allow residents to park free in order to allow guests and to unload materials or provide a parking space if the residents do not have a garage. Janice Shufelt, who lives on Church Street, asked council to provide her with a pass, during the meeting. She made a presentation saying she had health issues. The parking pass allowed her to park in front of her apartment building and unload items to carry them inside. Since the matter is under consideration, she was not given a pass. Mutton said there is never any perfect time to introduce this kind of change, but she wants council to get all the information and then act quickly to implement the committee recommendations. Staff are expect to bring back a report shortly. Cobourg councillor Brian Darling pays his first visit to Consider This Live, sharing his experiences over the past year and what is ahead for his role as co-ordinator of building and development on the Drive Time on Northumberland 89.7 FM.